Bexley Schools celebrated its 100th anniversary in 2017 and took a look back on the community's commitment to education. A school, built by rural residents, stood at the corner of what is now Livingston and College as early as 1864. The Main Street, also known as the Bullitt Park School, opened in 1907 across from today's Trinity Lutheran Seminary before Bexley's incorporation in 1908. Bexley’s Board of Education first convened in 1917, issuing bonds so that the school district could purchase property for future development. 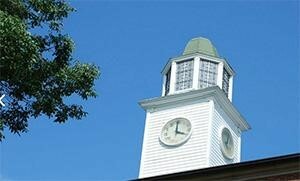 According to the Bexley Historical Society, the population of Bexley was about 1,300 residents by the year 1920. Main Street's current Montrose Elementary School opened in September 1921 as the Bexley community’s high school for grades seven through twelve. Bexley Public Library was housed in the building as well. The first Torch yearbook in the library's collection shows a 1926 senior class of 20 students, most of whom attended college after graduation. The school district experienced rapid growth during this early period, with enrollment rising from 560 students in 1925 to 1,187 students in 1929. The original part of the structure of the Cassingham Complex was built in 1927 for grades one through seven. After the community’s population hit 5,000, it officially became a city on April 11, 1931. The current Bexley High School on South Cassingham Road opened for classes in 1932 with 500 students in the six upper grades. The East Main school building was converted into an elementary school, with grades one through eight, each having one classroom and one teacher. According to students from the mid-1930’s, at this point, the building’s second floor was vacant. The school’s principal was Miss Ruby Borden, who had previously served as a teacher at the old Main Street School. Bexley Junior High in the Cassingham Complex focused on educating seventh and eighth graders with the name of the school changing to “Bexley Middle School” in 1989. 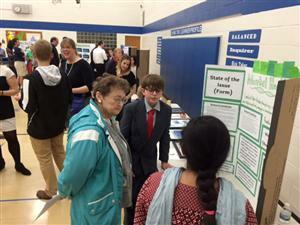 Starting in 2017, Bexley sixth graders joined the seventh and eigth graders at Bexley Middle School. Maryland Elementary School, serving students in north Bexley, was dedicated in 1950. Over the decades, Bexley residents have supported the renovation and remodeling of their historic school buildings, most recently with a 2001 construction project that saw the addition of two new wings to the Cassingham Complex. The community approved a Permanent Improvement Fund in 2016, setting aside money for capital improvements. Established in 1983, the Bexley Education Foundation (BEF) channels private support to public education. To date, the BEF has awarded $4.8 million in grants to the Bexley City Schools. 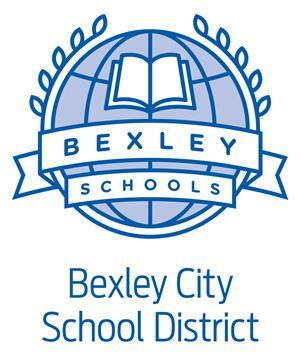 Bexley has been recognized for its excellent educational program, earning first Excellent, then Excellent With Distinction ratings on Ohio Department of Education report cards. Cassingham Elementary and Bexley Middle School were authorized in 2007 as the first International Baccalaureate World Schools in Ohio. The school district continues to be an educational leader, partnering with innovators such as Battelle for Kids and Ohio State University to help advance educational reform. According to the 2014 United States census estimates, 13,517 people reside in the city of Bexley. Bexley has 5,041 housing units and 4,500 households (U.S. Census 2010). Sixty-nine percent of the city's population over 25 years holds a bachelor's degree.